Meet Amy Hoffman "The Off Season" at East End Books Ptown on Friday July 20th at 6:30 pm. Amy's fantastic new novel takes place in Provincetown. A writer, editor, and community activist, Amy Hoffman is the author of the new novel, The Off Season, and three memoirs—most recently, Lies About My Family, published by the University of Massachusetts Press in April 2013. An Army of Ex-Lovers: My Life at the Gay Community News, about Boston’s lesbian and gay movement during the late 1970s, was published by the University of Massachusetts Press in 2007, and Hospital Time, about taking care of friends with AIDS in the late 1980s and early 1990s, was published by Duke University Press in 1997. An Army of Ex-Lovers was short-listed for a Lambda Book Award, and both An Army of Ex-Lovers and Hospital Time were short-listed for the New York Publishing Triangle Judy Grahn Award. Hospital Time was also a New York Public Library Books for the Teen Age selection and has been adopted in college and university courses. It is the subject of chapters in several works of literary criticism. Amy is currently a freelance editor, writer, and consultant. 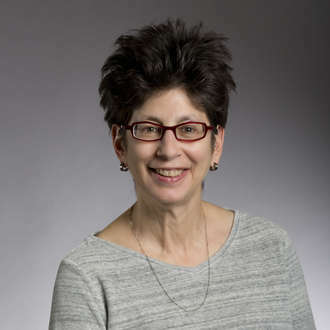 She was editor in chief of Women’s Review of Books for fourteen years, from 2003 through 2017. She is a faculty member in the Solstice MFA Program at Pine Manor College. She has been an editor at Gay Community News, South End Press, and the Unitarian Universalist World magazine. She taught writing and literature at the University of Massachusetts and Emerson College and served as development director for the Massachusetts Foundation for the Humanities and the Women’s Lunch Place, a daytime shelter for homeless women. Her creative writing, feature articles, and reviews have appeared in the Ocean State Review, Prairie Schooner, The Gay and Lesbian Review, Women’s Review of Books, GCN, Sojourner, and other publications. Amy has a BA in English from Brandeis University and a Master of Fine Arts in creative writing from the University of Massachusetts at Amherst. Her activism has included working for peace with the Jamaica Plain Action Network and Jewish Women for Justice in Israel/Palestine; and volunteering with the Reproductive Rights Network and the Out/Write lesbian and gay writers conference. She has served on the boards of GCN, Sojourner, Gay and Lesbian Advocates and Defenders (GLAD), and the Boston Lesbian and Gay History Project and as a judge of the Lambda Literary Awards. As she writes in Lies About My Family, Amy grew up in New Jersey, the oldest of six children. She has lived in Boston since 1973. She is married to the Realtor, photographer, and writer Roberta Stone. When she’s not writing, she enjoys reading, cooking, bicycling, yoga, and hanging out with Roberta.